Just before our last Cork Skeptics meeting, a good friend of mine showed me the following photograph, apparently taken by astronauts aboard the Space Shuttle mission STS-37 in 1991. It purports to show a circular orb near the Earth’s horizon. I thought it might be the Moon, but it looked odd. I didn’t pass much comment on it at the time, but I decided to look into it a bit later, to see what I could find. Upon beginning my research, I quickly discovered photos of a similar anomaly on a completely different shuttle mission, this time in a picture taken during an STS 51A space walk in 1984. The strange object here is the one at the top right hand of the picture (the large object, with an astronaut hanging off it at the bottom, is a satellite). Discovering a rational explanation for photos such as this can be hard work. 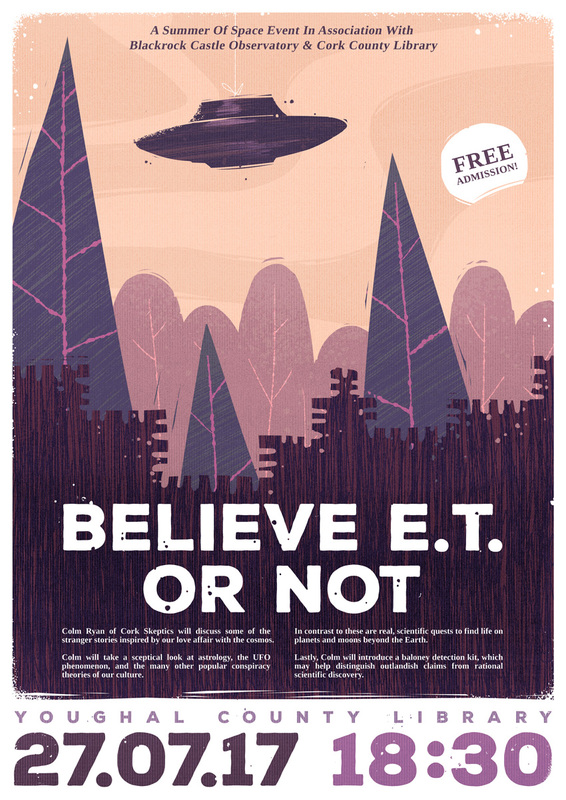 No matter what you type into Google – “UFO debunking”, “UFO explained” or “UFO skeptic” – the results invariably return pages upon pages of UFO believer websites. Eventually, I discovered a discussion about it on a forum at Randi.org. The whole phenomenon quickly fell into place. 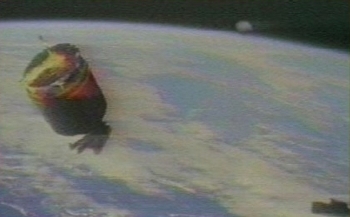 First of all, there is a video of the STS-51A mission shown below. If you play the video from the 10 minute 30 second point, you will see it soon afterwards. Just a water droplet. Interestingly, not even noted by the editors of the video as anything particularly remarkable. There is also a video of the first encounter from STS-37. Just before the object arrives around the 25 second mark, there is a distinct camera movement. The phenomenon is clearly associated with something inside the spacecraft, and not outside it. Again, it’s just a water droplet on the window as the field of view is adjusted. Note that the upside down refractions are entirely consistent with what you would expect from a droplet. What this little example shows is how true believers and sceptics differ in their approaches. A sceptic, when presented with a “evidence” of an interesting oddity, will first try to identify natural or simple explanations that might account for the anomaly. A true believer wants to immediately accept the anomaly as cast-iron evidence of alien spacecraft and if challenged on it, will attempt to prove why a more obvious explanation won’t work. It can be quite entertaining watching how they do this and what rationalisations are provided. The arguments, inevitably, are not about strange spacecraft and alien intelligences, but about mundane things like the existence or origin of burned grass, raindrops and random specks on film. Examples of good UFO debunking websites include Forgetomori, BadUFOs, and Phil Plait’s Bad Astronomy blog. 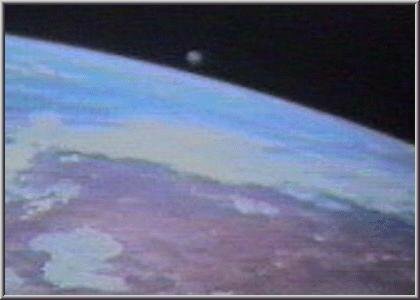 Categories: Skepticism, UFO, Video | Tags: space shuttle, STS-37, STS-51A, UFO | Permalink.